When you visit the office of Dr. Arthur Georgeu, your comfort and dental health are his top priority. Dr. Georgeu and his entire staff want to provide you with gentle and personalized care at every visit. Dr. Georgeu understands that visiting a periodontal office can be stressful and he wants to ensure you experience kind and compassionate treatment. 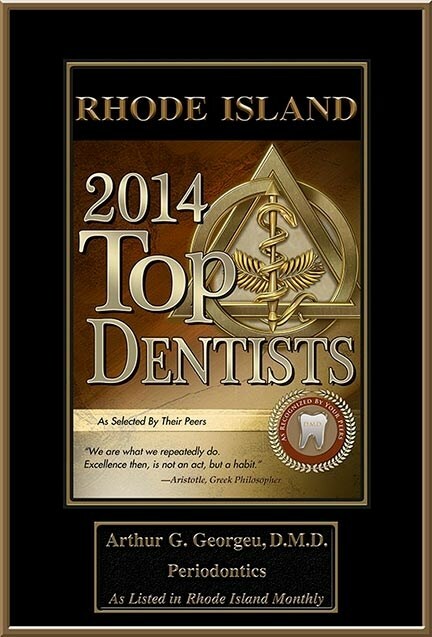 Dr. Georgeu was voted one of the top periodontists in RI as selected by his peers every year for the last 5 years.